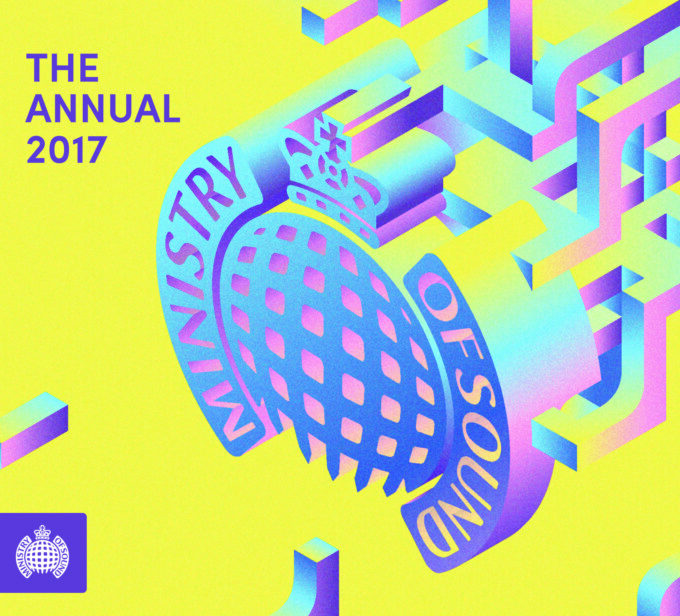 It’s Ministry Of Sound’s biggest compilation album of the year; ‘The Annual 2017’ will arrive at retailers across the country next Friday. Kicking off in the mid 1990s, the series quickly reached cult status and it’s been a staple in the collections of dance music lovers across the planet ever since. The 2017 edition once again brings together a swag of up to the minute dance floor anthems and choice cuts that are set to sizzle over the coming summer months. Imany’s chart hit ‘Don’t Be Shy’ kicks off proceedings for this year’s edition, with tracks to follow from the likes of Bob SInclar, Galantis, Martin Solveig, Jonas Blue, Cheat Codes, Mike Perry, Joel Fletcher, The Potbelleez, Armand Van Helden and Lost Frequencies. And that’s just disc one. Disc two brings together songs from Flume, Duke Dumont, Disclosure, Rudimental, PNAU, Starley, Tkay Maidza, Skrillex, Set Mo, Hayden James and Rüfüs. 45 tracks in total are spread over two discs and they’re ready to provide your soundtrack to the start of next year when ‘The Annual 2017’ drops on Friday November 04.